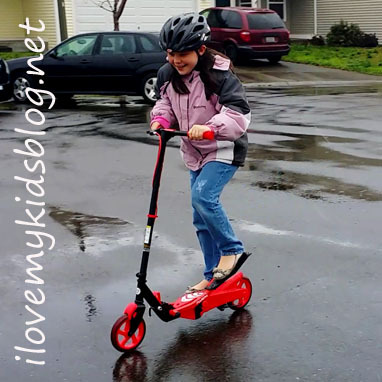 One of my favorite things to do as a mom is encourage my children to be active and healthy. For my family, that requires a lot of outdoor playing. When children play outside, they are able to strengthen their imagination, work on social interaction skills, and exercise without even realizing it. 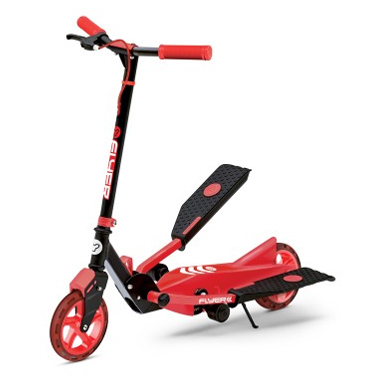 The Y Flyer Scooter, by Yvolution, is the ideal outdoor accessory for active kids and families. Being that I have a background in fitness, the Y Flyer intrigued me instantly. It is a cross between a stair stepper and scooter. How awesome is that?! Using self-propelling stepping motion the scooter gains speed and becomes a one of a kind outdoor experience. It actually feels like you are riding a bike standing up. 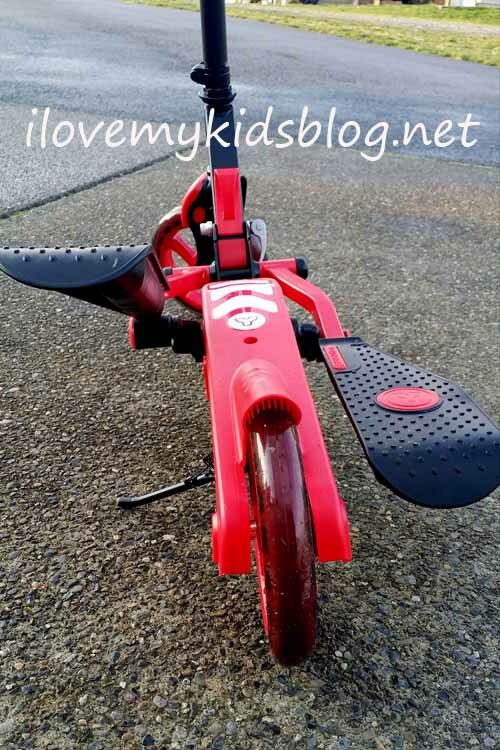 The Y Flyer requires balance and focus to stay steady on it, but after a couple of minutes, it is easy to ride. 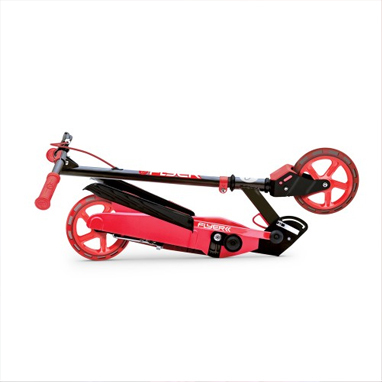 As a fun and interactive scooter, it strengthens leg muscles and provides a great workout. The Y Flyer brings fun and fitness together! I really love it. 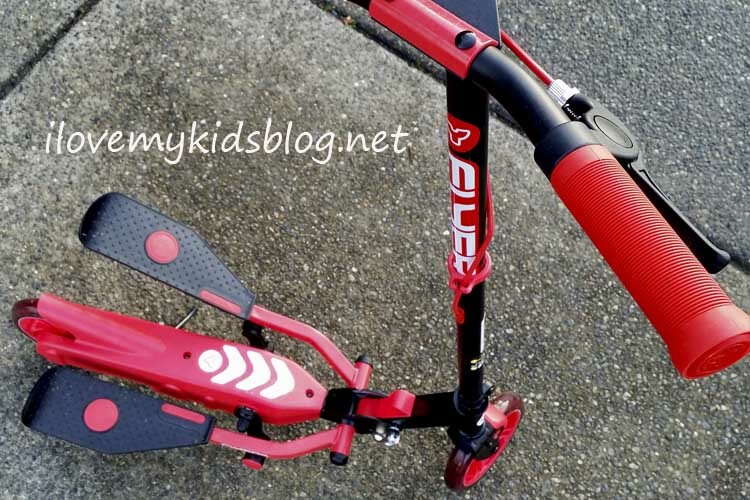 The Y Flyer is challenging and fun for children and adults. It has a weight capacity of 154lbs. I decided to put that to the test, and I rode the scooter around my neighborhood. It worked great for both me and my children. I am pretty sure it will be added into my weekly workout routine. Ha. Another unique feature the Y Flyer has is a kickstand and an easy fold down feature for storing. The kickstand helps keep it from being tripped on or recklessly dropped on the ground. If you want to take it on a trip or place it where it wont take up much space, the fold frame engages with just a pull of a safety lever. I am hopeful that this scooter will be made in multiple sizes so that adults, teens, and kids can all have fun on it together. I think it would be a blast to have the whole family riding the Y Flyer. The Y Flyer can be found at Toys R’ US. Have you ever seen something like the Y Flyer before? What feature excites you the most? Share your comments and feedback. I would love to hear from you. « Can you find peace, happiness, joy and hope in a soap? Yes with Strongest Minds Company!